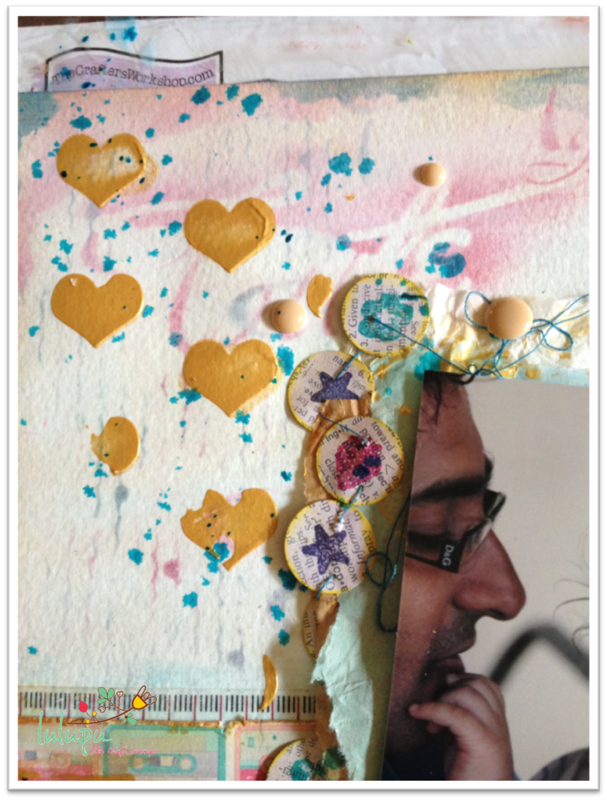 Kripa here with my take on challenge #32. 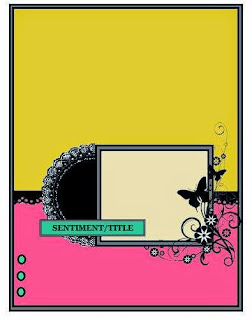 Have you started working on your entry with the lovely sketch that Jaya has given? 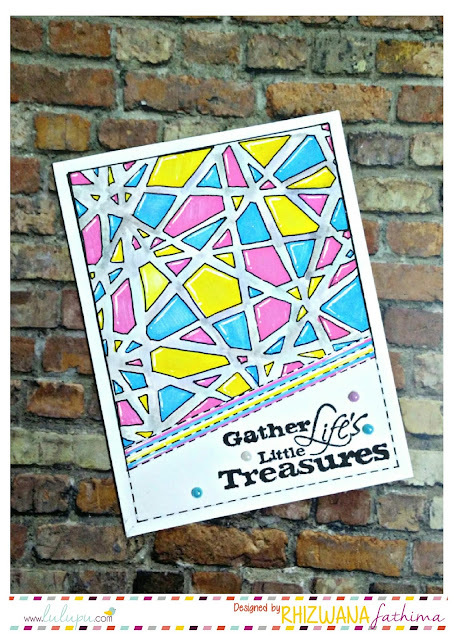 Jaya made not one but two uber gorgeous canvases based on this sketch and also gave us some tips on how to interpret sketches. 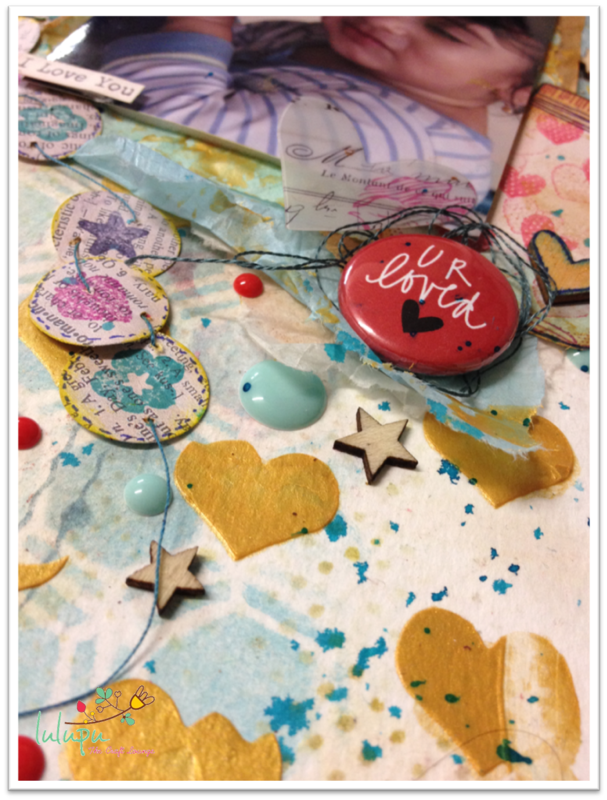 Well, to get your creative juices playing, I have a pictorial for a mixed media layout based on the sketch. 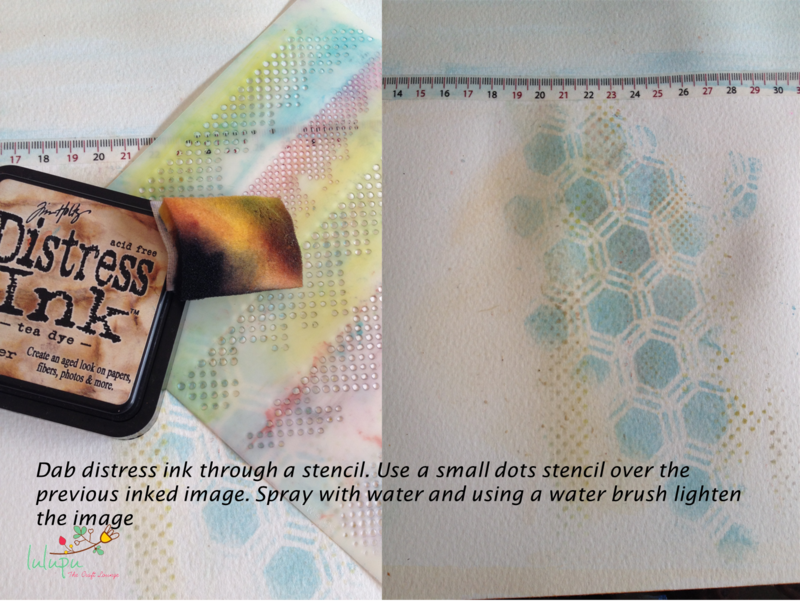 If you dont have a word stencil, then use any other stencil or you can also stamp words or hand paint words. 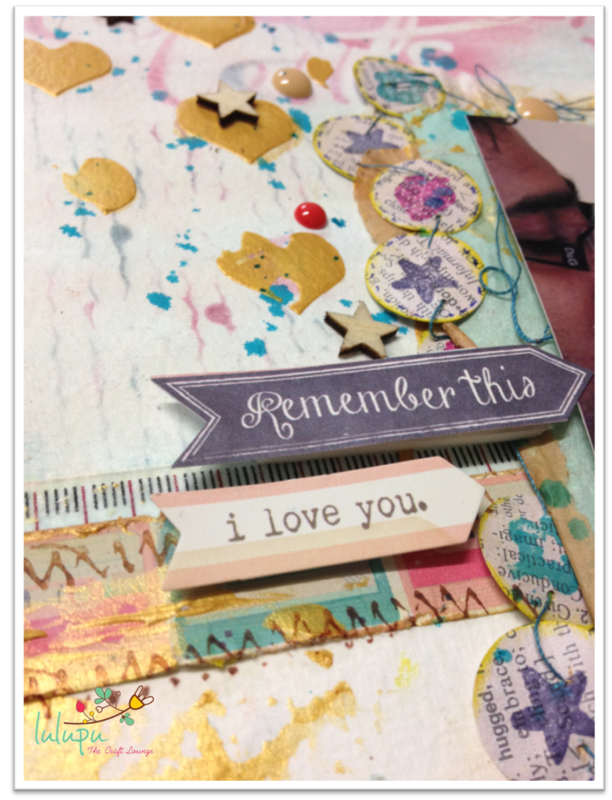 Using pop dots to raise the photo mat, stick it on the layout. Now for another round of embellishments and final touches. 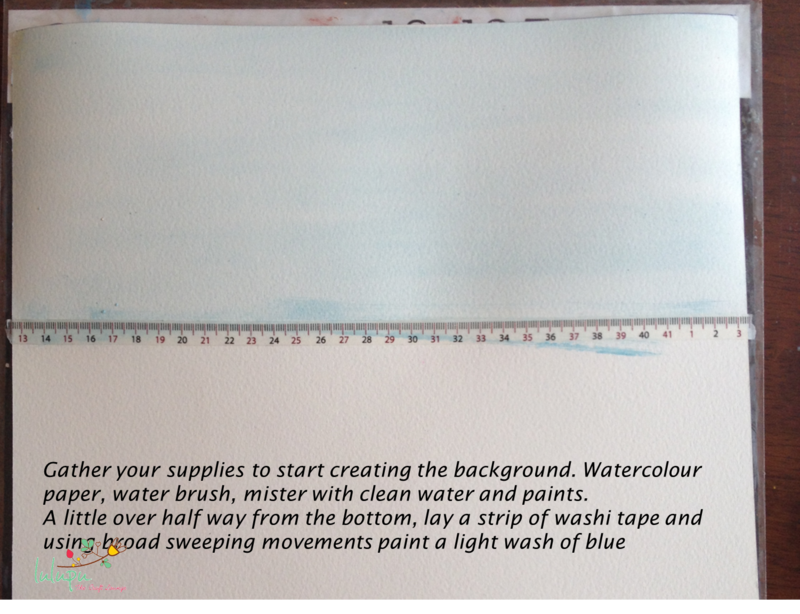 Start with ink splats on the top and bottom using mists and watered down paints. 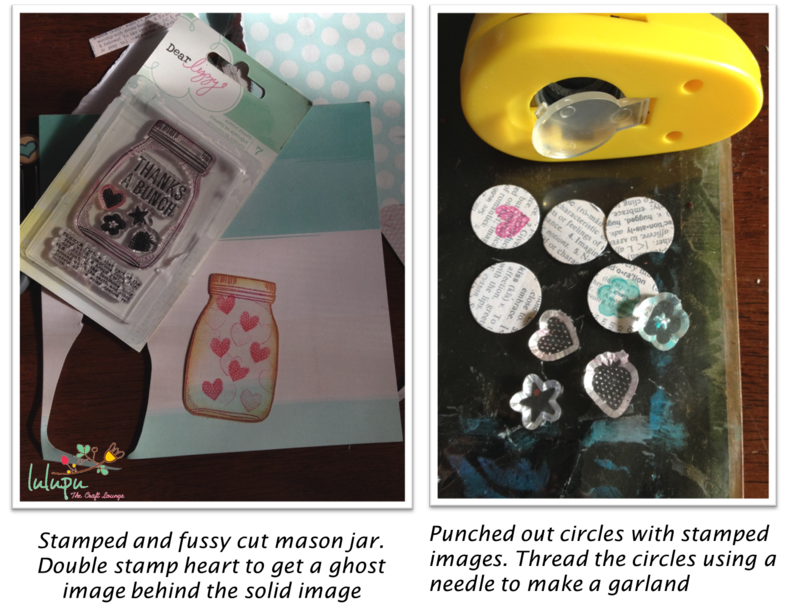 Add stickers again on pop dots, prima sugar dots, studio calico wood veneer - hearts, arrow and stars. 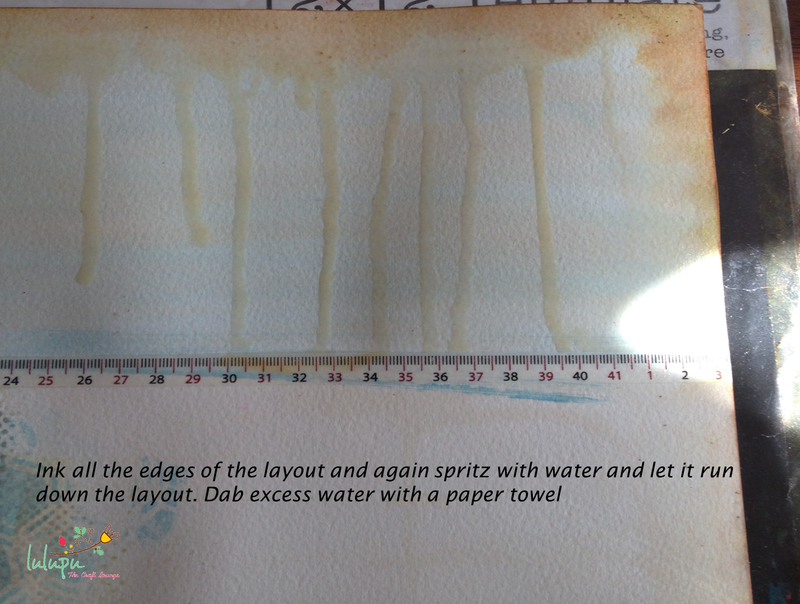 Finally, stamp a border across the patter paper and the edges of the layout. 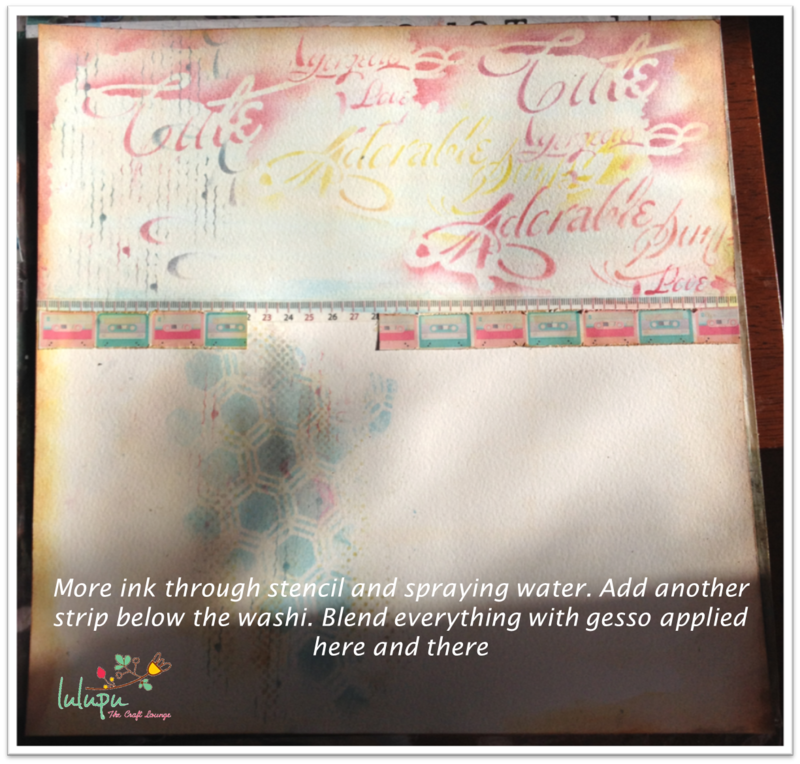 Re ink the edges with blue or pink distress inks, outline a few stenciled images here and there and most important - Add title to the bottom right and journaling above it. Hope I've left you inspired to give a go at the sketch. If any step isn't clear or you would like more information, drop me a comment and Ill get back to you. Look forward to seeing your creations. Fabulous LO Kripa! Thank you for the tute! Thanks Shilpa. 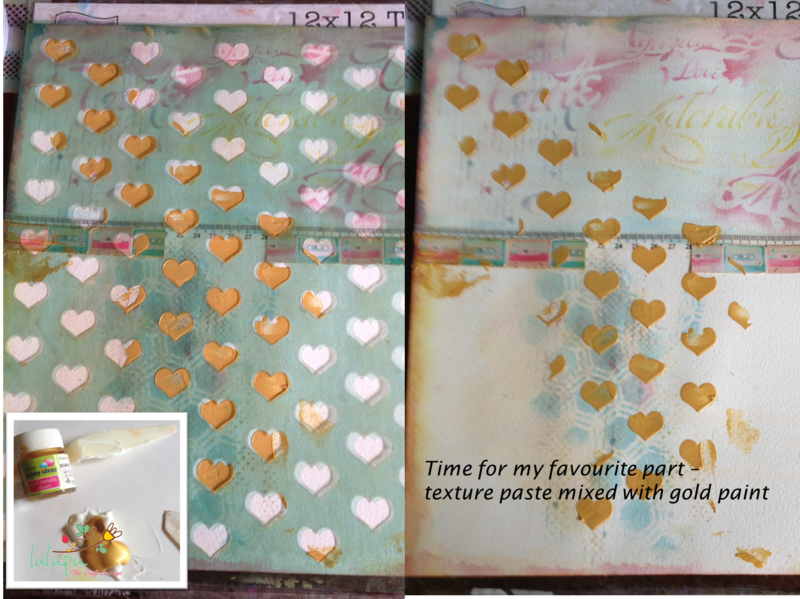 I'm addicted to gold hearts! WHat a lovely Lo..Wonderful tut Kripa ! 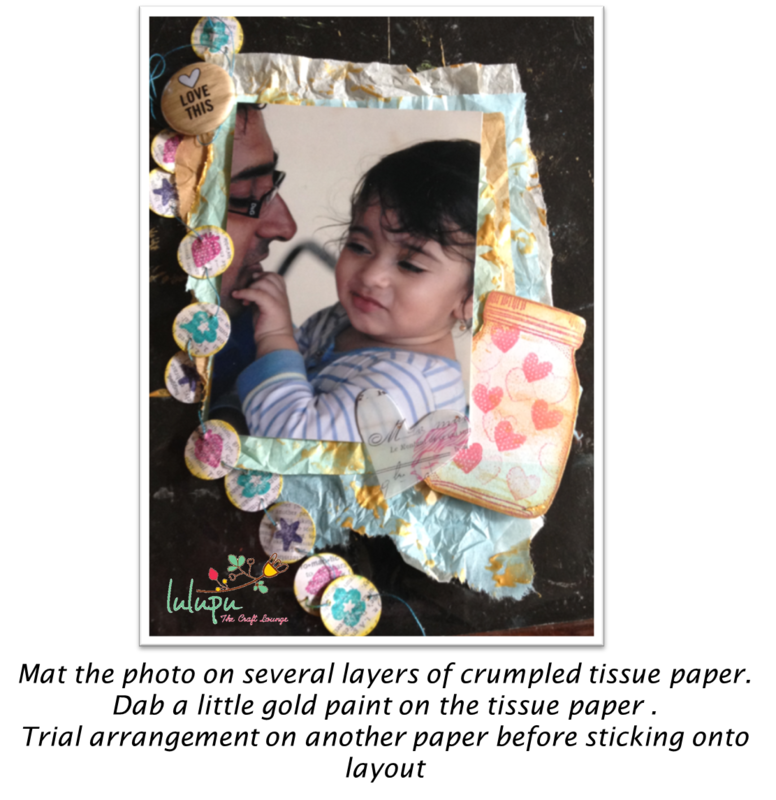 Such a cute and detailed LO Kripa! You are inspiring me to make an LO of my own!